Huawei Saudi Arabia has announced the launch of its hybrid whole home Wi-Fi system in the Saudi market, which delivers blazing fast wireless connectivity for today’s smart and connected homes. The Huawei WiFi Q2 features a dynamic interplay of advanced hardware and software to boost speed, reliability and range, and delivers full-coverage wireless connectivity that’s simple to set up and guarantees a stable signal throughout the entire home, said a statement. Current Home Wi-Fi Systems are not perfect Wi-Fi coverage solutions, which heavily depend on the shape or size of home, or even the location of the power sockets. The installation and configuration are also very difficult and complicated to non-technology consumers. Besides mesh Wi-Fi embedded, Huawei WiFi Q2 also has a unique G.hn gigabit PLC module, which can easily pass through the walls and break the distance limitation. Huawei WiFi Q2 is very easy for users to configure, set the main-unit in two minutes and then plug and play of all sub-unit. 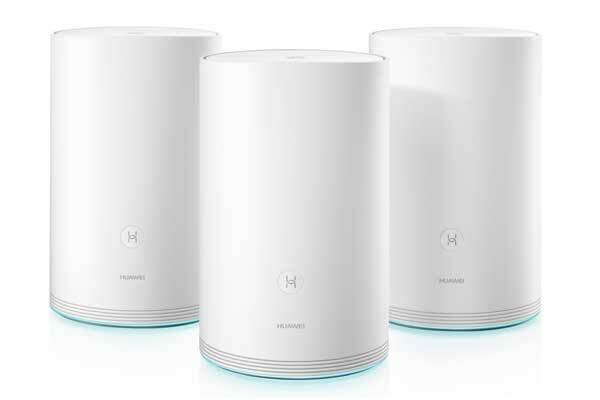 “The Huawei WiFi Q2 brings today’s families a hybrid whole home Wi-Fi system with a reliable, flexible solution that expands Wi-Fi throughout our homes,” he added. Huawei WiFi Q2 also has a better performance in coverage and speed. It can provide larger coverage area than other systems with an equal number of units. And in most situation, Huawei WiFi Q2 can provide hybrid connection of up to 1867 Mbps bonding the speed of PLC and mesh Wi-Fi. Every unit of the Huawei WiFi Q2 has the capability to connect up to 64 devices simultaneously, meaning that Q2 (3 pack · Hybrid) can easily support up to 192 devices. Huawei WiFi Q2 also features an anti-brute force algorithm to prevent outsider access to the network, in addition to Wi-Fi encryption and password protection. This ensures the system provides smart homes with the most secure high-speed internet experience possible.